Our super sweet, My Book of Nursery Rhymes, has hit the Christmas Charts for 2017! 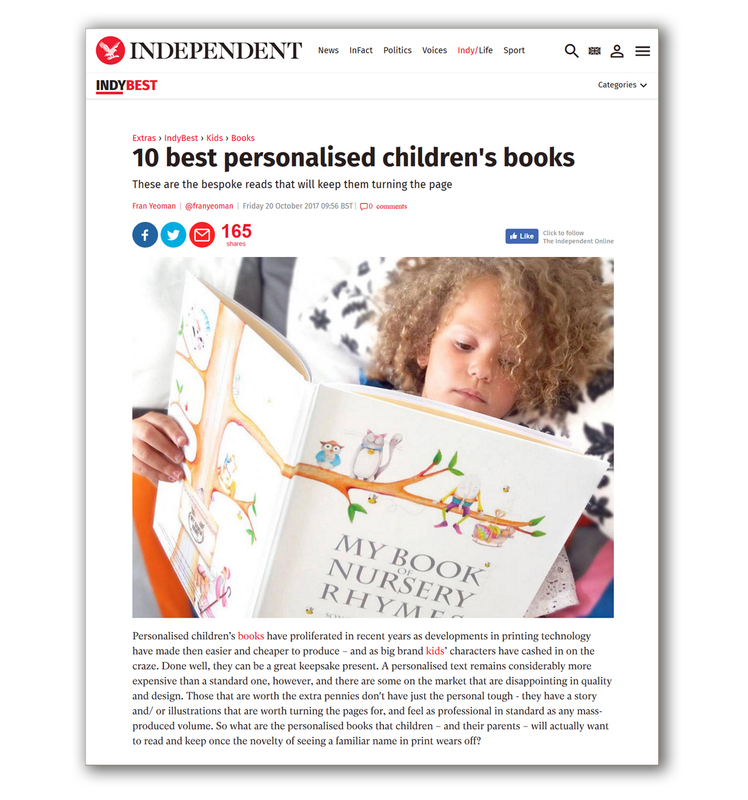 Selected by the Independent in this year’s Ten Best Personalised Children’s Books. 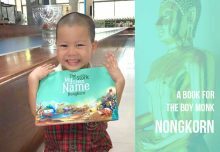 In at this year’s number five, they loved the brightly coloured illustrations and personalised poems based on a child’s name. Making it an ideal first Christmas gift! We think it is definitely number one, but happy for the inclusion anyway – thanks so much! 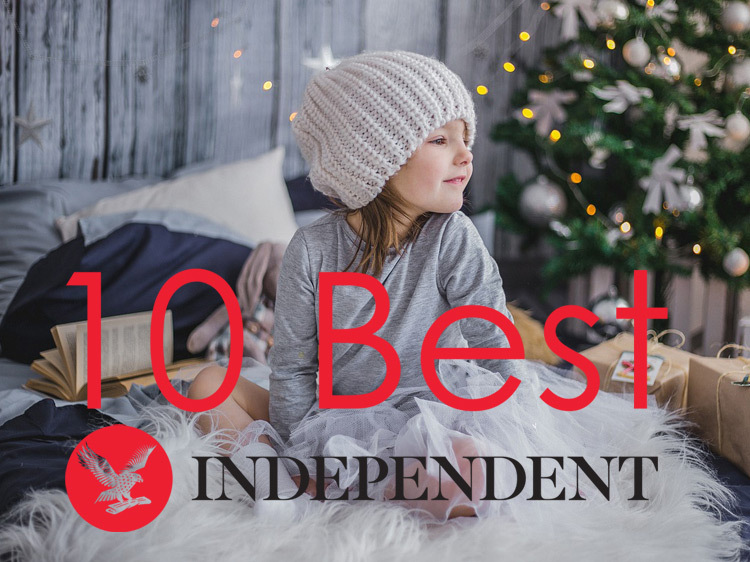 The IndyBest is a guide to the best of british innovation and product design and lists a whole range of Ten Bests from an assortment of categories. 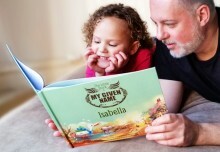 I was particularly pleased they choose to use the image of our book for their category article, as it is a pic of my neice Rheya. I quickly snapped this image with my mobile phone as she was lost in a poem all about her name. Some of the personalised poems she found so engaging were; “Rheya & The Biscuits” – all about finding a new best friend who is a biscuit; “Rheya & The Snail” – all about tea with a snail under a tree, who has a very important message for her; “Goodnight Rheya, Goodnight Kiss” – a sweet bedtime rhyme to send you into a lovely dream. 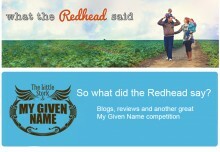 What did the Redhead say? 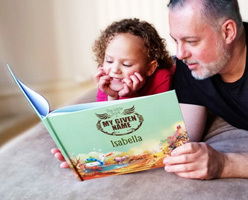 Adding your name – get more story for your money!